SURPRISE: Sacha Baron Cohen, "Who Is America?" Sacha Baron Cohen's nod for his controversial Showtime satire "Who Is America?" was quite the shock -- especially because the comedian's nom helped push Ted Danson out of the running for "The Good Place." 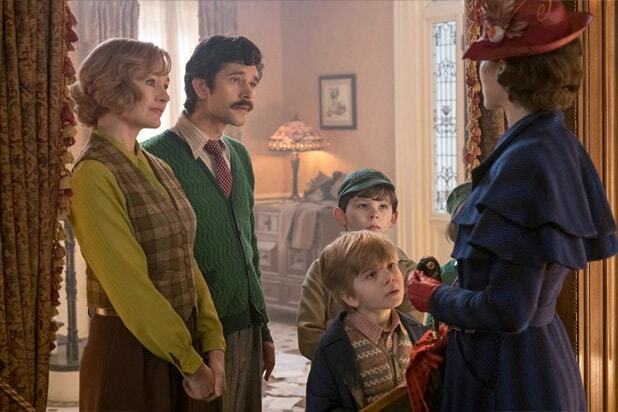 SNUB: No songs from "Mary Poppins Returns" While Emily Blunt and Lin-Manuel Miranda got nominated for their work in Disney's "Mary Poppins" reboot, none of the new, original songs in the musical got recognized, in favor of songs by Troye Sivan, Dolly Parton, Kendrick Lamar, Lady Gaga and Annie Lennox. 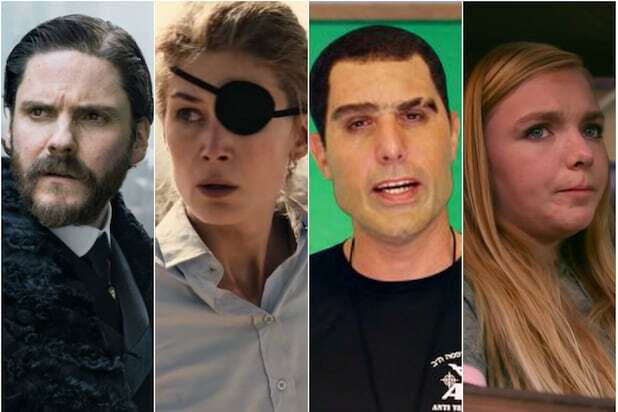 SURPRISE: Rosamund Pike, "A Private War" Rosamund Pike upset a huge field of actresses, including Viola Davis for "Widows," for her work as war correspondent Marie Colvin in "A Private War." SNUB: Ryan Gosling and Damien Chazelle, "First Man" With the exception of Claire Foy and its score from Justin Hurwitz, Damien Chazelle's "First Man" was almost entirely shut out of the Golden Globes race, including star Ryan Gosling as astronaut Neil Armstrong. SURPRISE: Elsie Fisher, "Eighth Grade" The teenage Elsie Fisher has been a dark horse for her work in Bo Burnham's "Eighth Grade," but we're happy to see she made the cut in the comedy and musical category with the Globes. Gucci! SNUB: Ethan Hawke, "First Reformed" Ethan Hawke gave one of the best performances of his career in Paul Schrader's "First Reformed," leading many to believe he would be a dark horse contender. Not so this year. SURPRISE: Lucas Hedges, "Boy Erased" Lucas Hedges was great in two films this year, "Ben Is Back" and "Boy Erased," so we're glad the one didn't cancel out the other. SNUB: Sterling K. Brown and "This Is Us" NBC's ratings and critical darling got no love from the HFPA Thursday, shaking things up after Sterling K. Brown grabbed a Best Actor win last year. "This Is Us" scored several previous acting noms, along with a nod for Best Drama series for both of its first two seasons. SNUB: "The Handmaid's Tale" While actresses Elisabeth Moss and Yvonne Strahovski both got nods, the Hulu adaptation did not, despite winning the award for Best TV series drama last year. SURPRISE: John C. Reilly, "Stan & Ollie" It was a good year for John C. Reilly, who starred in "The Sisters Brothers" and "Ralph Breaks the Internet" in addition to the not-yet-released "Stan & Ollie," in which he stars opposite Steve Coogan as one half of the famous comedy duo Laurel and Hardy. SNUB: "Cold War" A luscious, foreign language darling from Poland and thought to be a strong contender in the Oscar race considering its director previously won the prize for "Ida," the black and white drama "Cold War" was left out in the cold by the Globes. SNUB: Yorgos Lanthimos, "The Favourite" "The Favourite" had a big showing for its actors Olivia Colman, Emma Stone and Rachel Weisz, and even for its screenplay, but surprisingly not so for its director, the Greek Yorgos Lanthimos. SURPRISE: Candice Bergen Bergen's nomination for "Murphy Brown" is definitely out of left field, seeing as CBS' revival of the '90s sitcom's reboot has been seeing low Nielsen ratings and didn't receive a back order for additional episodes. SNUB: "Atlanta" While Donald Glover was nominated for his work as an actor, his show "Atlanta" failed to earn a nomination in the Best Comedy or Musical category, despite winning the prize for its first season two years ago.